Over the last week or so, you’ve probably noticed the little boxes of happiness popping up all through your office. Purple, red, orange and brown…I speak, of course, about Girl Scout cookies. Those once-a-year packages of goodness that many folks look forward to receiving after having ordered them months ago. 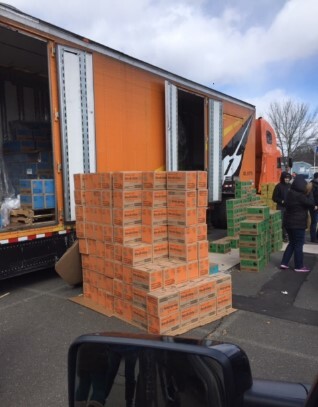 As the father of two young girls, husband to our troop’s “Cookie mom” and pickup truck owner, I had the privilege of going to the central pickup location and pick up all of the cases of cookies our troop had sold over the past several weeks. Having partaken in previous Girl Scout-related activities, I wasn’t expecting a smooth transaction (ask me about waiting in line for 2 hours to buy hot dogs at a Jamboree in 90 degree weather!). Braced for the worst, I reluctantly agreed. As a Lean guy, I must admit that I was impressed. The location was a large parking lot at a local business, where several semi-trailers had been strategically parked the night before. Upon arrival, we were directed toward a woman who checked us in. After exchanging pleasantries, she asked us for our troop number and upon providing it, she quickly found our Cookie Summary Sheet. She confirmed the number with us, and with a couple of small pieces of tape turned my truck into an indispensable visual control. I’ll add here that I’m very particular about my truck – I don’t let anyone else work on it or drive it, and I always park well away from other cars in parking lots to avoid door dings. So when I realized that tape (!) would be applied to it, I was nervous. I was glad to see that the tape was low-adhesion painters tape, and the woman who applied it always did so to windows – never to paint. It was obvious she’d been trained on what to use and how to use it. Crisis averted. After being affixed with our new adornment, we entered the moving line of trucks and minivans who were being loaded up with cookies. Each cookie had its own, well-staffed station, and the line moved quickly and safely. 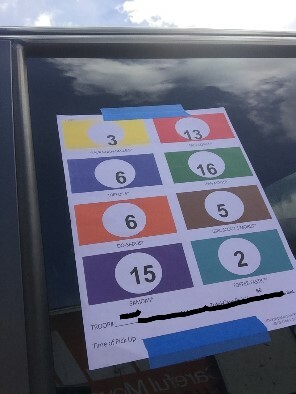 As each vehicle moved through the line and was loaded with individual cookie flavors, the Summary Sheet was marked off, indicating that part of the order had been filled. 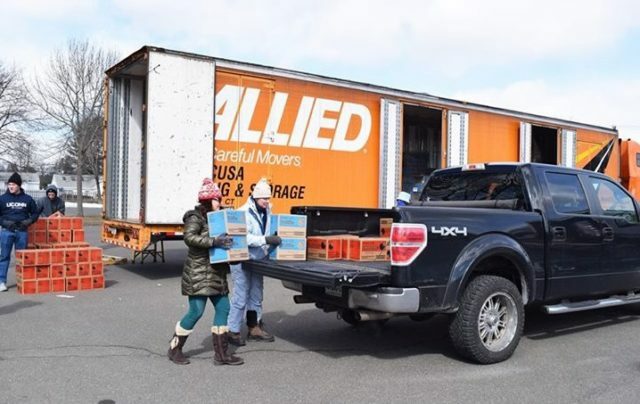 Likewise, as each portion of the order was loaded, it was double checked by each troop’s representative to ensure that we’d received the exact number of boxes we’d ordered. Overall, it was a simple system, which all truly great systems are. Easy to follow and understand; the Summary Sheet was even color-matched to the colors on the individual boxes of cookies. Big, easy-to-read numbers cut down on mistakes and time, too (No Oscar small-print flub here!). It was nice to see an organization not known for Lean to be employing many of its tools to make what could be a painful experience enjoyable to be a part of. About the only thing I will criticize is the name they chose for the new cookie. “S’mores” were introduced this year, and despite being a natural fit with the motif of a scouting organization, the name conflicts with the long-standing cookie champ, the Samoa. Given how close the two names are, the troop leaders cautioned the girls to make sure they were logging the correct cookie when they were taking orders. Even despite this added instruction – a few orders were entered incorrectly due to miscommunication. So, as you munch down on your Thin Mints and Tagalongs, give a small hat-tip to Lean for getting them to you efficiently!